Nancy, you are so sweet, Thanks for brightening my day! I'd love to thanks for the invite! 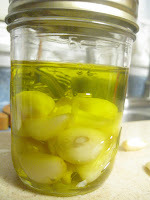 Great tips, I've never frozen my garlic, but I will definitely do it with next year's crop. I planted a lot more this fall so hope to have tons to do when I harvest them. Thanks, I saw you linking at Farm Girl Blog Fest. I'd love to stop over and share! Thanks for the invite! 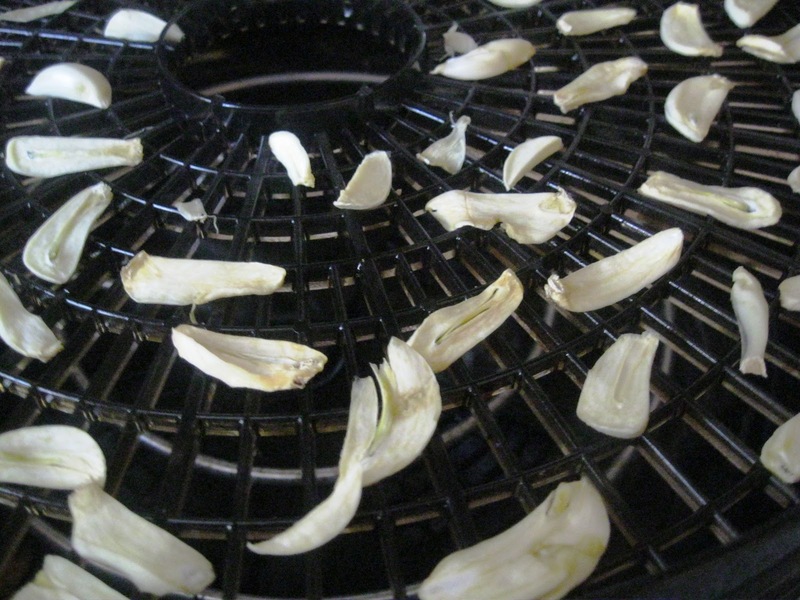 I love the idea of freezing whole cloves too! I hadn't heard of that. Do you grate them while frozen, or thaw first? Are they mushy when thawed? Then they'd be easy to mash but not grate, I guess. One other method to add to your oil section. Store in oil, and *then freeze. * They don't freeze solid but the temps should keep them safe indefinitely. I have some done this way. Okay, I take that back; I just checked my garlic in oil and it has solidified. I guess it depends on the temperature of the freezer. I can scrape away the oil quite easily. Not sure if there is a benefit to this--maybe having the flavoured oil safely preserved, and maybe the cloves don't freezer burn as quickly? Natalia, I just usually mince right through the frozen garlic. 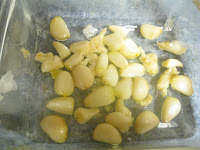 Alot of times I'll actually roast the garlic heads in the oven first, then pop the individual roasted cloves into the freezer, when i run my knife through the frozen cloves they mince or mash right up. If I put them in un-roasted, they stay minced rather than mashed alot better. The raw ones grate better, but I just smash them more often than not. 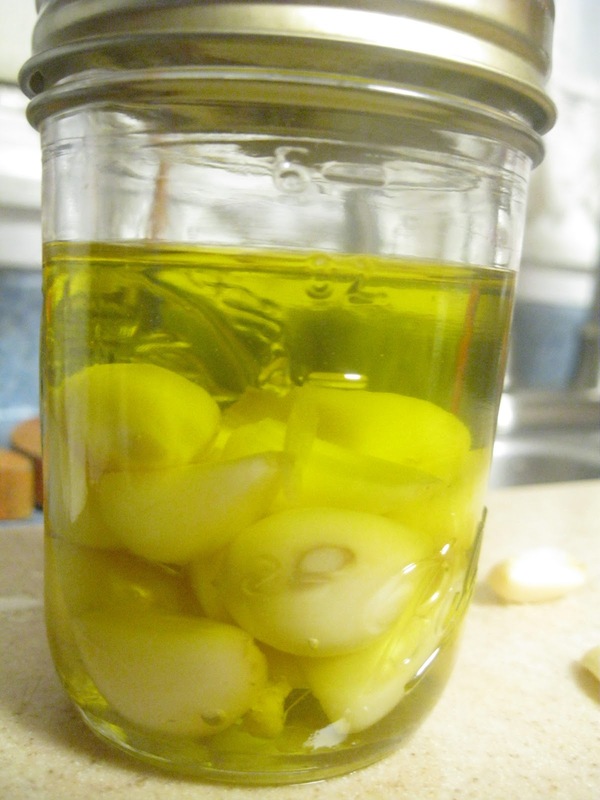 I bet once you got the oil off the garlic it'd be great in like a shrimp scampi dish! Thanks for all your feedback, love it! We chop it small and store it in freezer baggies. We do this in bulk about once a year. Works great! You made my day! Thanks for stopping by! I have not even thought of freezing garlic. What a great idea. 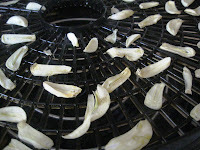 I have got to try freezing the peeled cloves. Thank you for sharing. You'll love it! It'll taste very fresh! Ok, Nancy, I must now learn this! I love that idea! You are very clever! Thank you for sharing! I am inspired! Hey, those are great ideas. 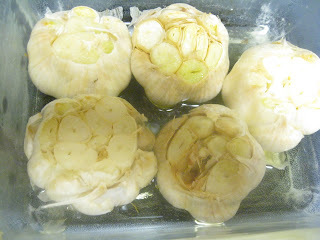 We grow our own garlic, but have not tried the freezing method. I'll try this out. Thank you! Thanks Cynthia! If you do try it, I'd love to hear back from you about your experience! Thanks for stopping by! Thanks Kathy, I'll be there!